We got our first glimpses of the Ataribox back in mid-June. At the time Atari boss Fred Chesnais proclaimed that the company was "back in the hardware business." The information provided was rather indistinct, and came with a suitably mysterious 20 second long teaser video. Now it turns out that the video showed a camera roving over what looks like one of the two Ataribox models that will be released. Some of those who signed up for news on the Ataribox website have today received further information and images of the Ataribox. Polygon gaming magazine, for example, shared a newsletter link which provides a first look at the Ataribox design and some more interesting hints at the possible direction of the console. I signed up for the newsletter but it's not arrived unless it got squirreled away in a spam folder. 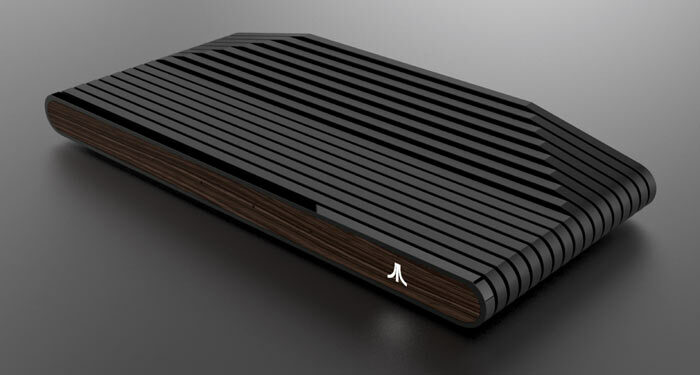 Atari has created this console to "stay true to our heritage while appealing to both old and new fans of Atari". You can see that the design harks back to classic console times, including the use of a 'wood' veneer panel (as an option, there's a red alternative accent panel). Previously we heard that inside the Ataribox one would find hardware based upon PC technology. This time around the newsletter sketched out a few more tantalising details. With various modern ports in evidence in the photos (HDMI, 4xUSB, SD), Atari said "As you can guess, those ports suggest modern internal specs. It also means that while we will be delivering classic gaming content, we will also be delivering current gaming content." 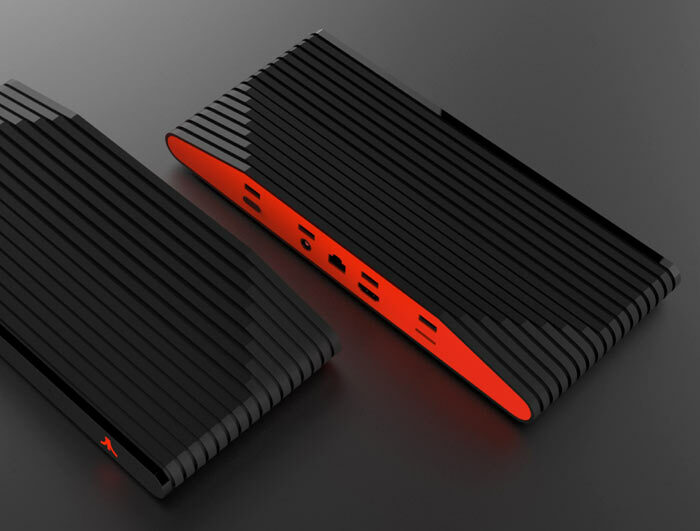 Rounding off this news bulletin, Atari said it knows enthusiasts are keen to hear more about its Ataribox console project but it didn't provide any more details as it still has to work through many "milestones, challenges and decision points," to be ready for marketing. We are promised more information and that the project status will be updated soon - at the going rate that will be approximately this time next month. Wonder if they struck a deal with AMD to provide this and it's a Ryzen+Vega APU…? It looks a lot like a Shield redesign. It's a shame the Atari Logo on the right isn't matches by an Infogrames logo on the left, that would really be staying true to their heritage. Sounds like they are still in the dreaming idealistic stage of development. If they were serious, then they would be getting custom silicon made which nails down the specs pretty early on.